It seems as though icy cold wave of benevolence that sweeping the globe with the Ice Bucket Challenge has washed over Daniel Negreanu. Although he's known for putting his name, and his bankroll, to good causes, the PokerStars pro took things a step further this week when he offered to given away $5,000 to 10 random Twitter followers. In 140 characters or less tell me what you would do if someone gave you $500 with no strings attached. "@jveenstra1 - I'd give $400 to the local youth organization that provides education support and $100 to buy a bike for a friend in need." "@dfinnegan81 - My answer would have been different two weeks ago, but I'd start a college fund for my newborn son." "@Ompts - I'd take my wife on an unforgettable weekend to the #river! We have had 1 vacation since being married. We have 3 kids 12, 8, 4!" 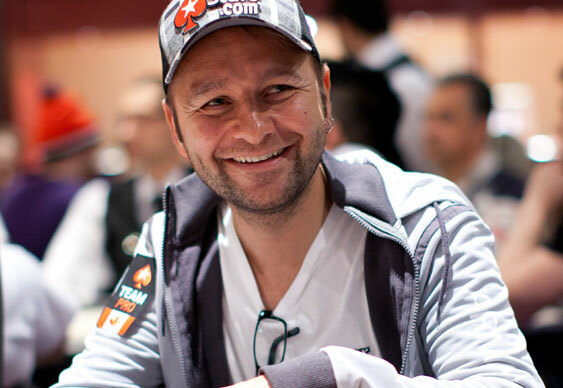 With his choices made, Negreanu distributed the money and simply asked that everyone he chose stuck to their word and used the money as they said they would.